But we might have a new version of this product, click here to search for a similar product. This sandwich construction cap has been developed with the most sophisticated material known to man. It uses Graphene, KOROYD and CARBON and is guaranteed to be the lightest ski in the world. Although it is light it does not compromise on performance. Karuba wood core is what give the ski its pop and personality. It’s the perfect ratio of density and weight. The advantages of combinding Karuba, Koroyd and Graphene enhance the ski, making it light and balanced. Graphene is the strongest, lightest material known to man. 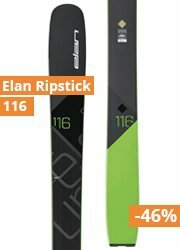 We fuse it into the KORE’s tip and tail to make it lighter and more responsive in deep snow. Koroyd is a honeycomp shaped material at the heart of the KORE. It’s super-light and incredibly elastic. It’s strong and flexible and what makes the KORE special.